Every November, in a small town south of Austin, is a humble festival celebrating Wursts (German for sausages). 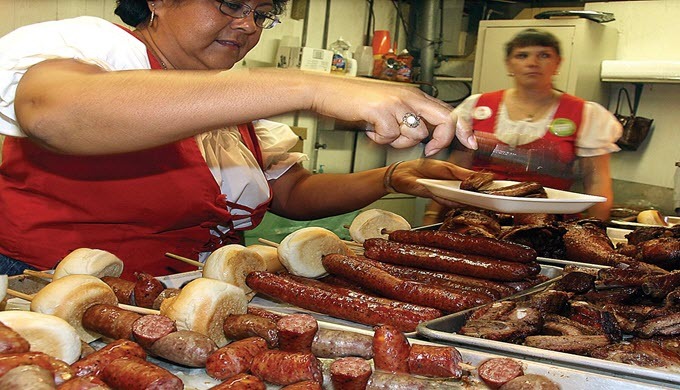 New Braunfels shows us the Best of the Wursts at their annual 10 day Wurstfest. 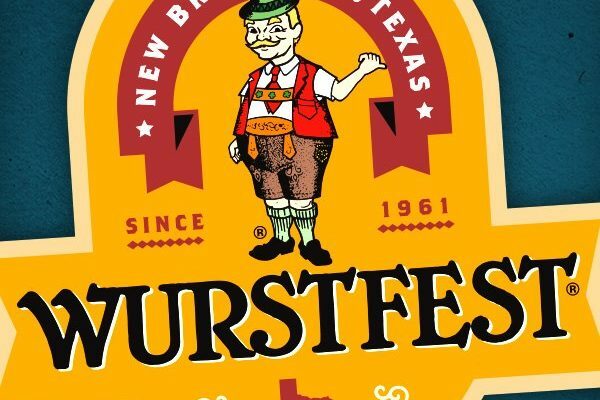 Wurstfest started as a small little festival in 1961 and has such a support and following that that this festival grew from a one-week festival to a 10-day celebration. 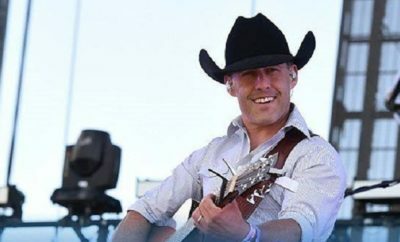 What was originally intended to entice people to support New Braunfels businesses has bloomed into a full-blown German festival, bringing people from around the country. The biting of the sausage kicks off this fantastic event. You can find the best of the wursts along with authentic German side dishes of potato salad and sauerkraut. The Germans in New Braunfels have perfected everything sausage. From looking at the lines and plates, an overwhelmingly favorite side is the potato pancake. You can find sweet sausage on a bun or spicy ones on a stick. There’s even a five sausage combo showing off five different types of wursts. While this is primarily all about the sausage, you can also find several varieties of German liquid libations. If you’ve not tried German beer before, this is a great place to sit and sample everything from a Karbachtoberfest to a Krombacher Dark. If German beer isn’t your thing, then you can go more domestic. The fest offers about 55 beers, so you’re sure to find something. While you’re busy eating and drinking everything German, you can be serenaded with German music. 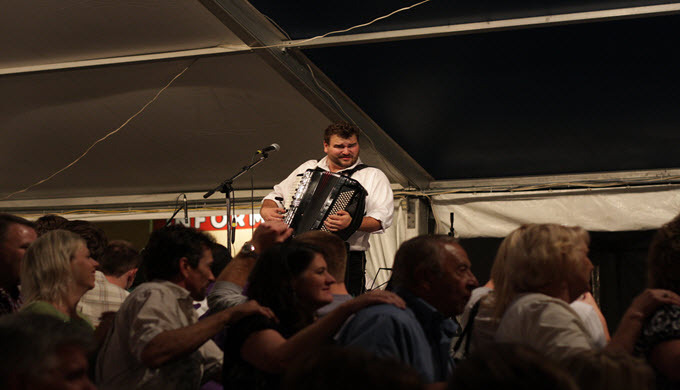 The Best of the Wurst has you dancing to accordion music throughout the day. Men, women, and children dress up in lederhosen and dirndls and flock to the dance floor in Wursthall surrounded by tables of eating patrons eagerly waiting to be entertained. You can dance to the waltz, the polka, or — yes — the chicken dance (every hour on the hour). After you have had your fill of food, beer, and dancing, take a stroll around the grounds. 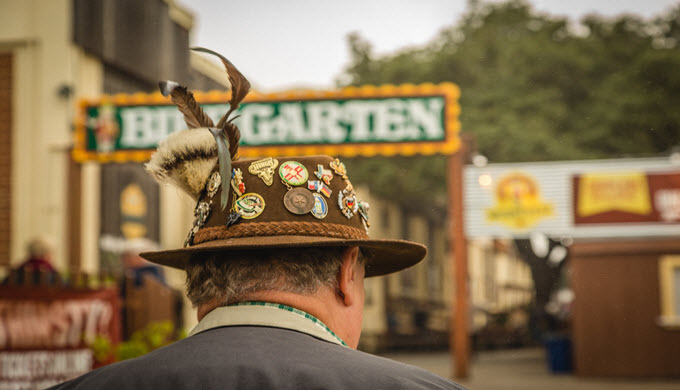 There are vendors in two buildings that offer authentic German hats and steins. There’s even one that caters to all things Christmas. You can buy ornaments for your tree that represents Germany in winter. If you have a nice German Hat already, then you should take a moment to decorate it. 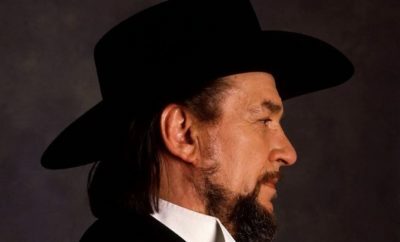 Several vendors sell unique pins to brighten up the hat. If your hat isn’t into pins, then maybe a Boar brush is more your style. Whatever you’re fancy, you can be sure if it’s German you will find it here. If you still have room (and even if you don’t), you must stop and purchase something from Naegelin’s Bakery. They have a booth in two buildings and serve up the most delicious strudels, sweet pretzels, and bear claws. It’s a perfect way to end the day at the Best of the Wursts.